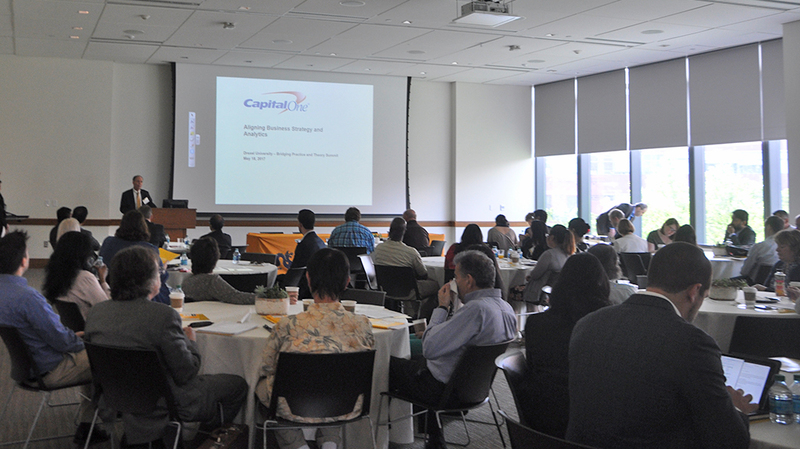 Drexel LeBow hosted its seventh Thomas J. Hindelang Bridging Practice and Theory Summit (BPTS), a one-day event encouraging collaboration between academia and industry. The annual discussion welcomes both faculty and practitioners and aims to expand links between research and its implementation in practice. Held in partnership with LeBow’s Business Analytics Solutions Center, the 2017 summit focused on the alignment between business strategies and analytics. Scott Hallworth, Chief Data Officer and Chief Model Risk Officer for Capital One, delivered the summit keynote to introduce the dialogue of alignment. Active in building and leading data and modeling functions for more than 25 years, Hallworth leads teams that manage models and advance data strategies across Capital One. With data at the heart of his company’s decision-making model, Hallworth shared that the application of business context to big data capabilities provides the potential for solving problems within organizations. Following Hallworth’s keynote were concurrent tracks of sessions outlining the importance of alignment between business strategies and analytics to develop and deploy techniques that will enhance decision-making capabilities. Conversation topics were derived from submitted proposals across various industries – finance, biopharmaceutical, chemical, healthcare, and marketing – authored by a team of at least one practitioner and one faculty member. Interactive sessions featured dialogue about operational analytics, project management analytics, financial analytics, and analytics strategies, with discussions led by companies such as AstraZeneca, ARI, DuPont, and SEI, along with institutions such as Drexel University, St. Joseph’s University, Loyola University, and the University of Delaware. A panel discussion of participants from academia and industry highlighted analytics pedagogy. Papers presented at the 2017 Bridging Practice and Theory Summit will be compiled as chapters for inclusion in the forthcoming volume Aligning Business Strategies and Analytics: Bridging Between Theory and Practice. The 2016 Bridging Practice and Theory Summit brought together regional academics and a variety of business professionals to discuss topics crucial to both communities. Matthew Schneider, assistant professor of business analytics, explores how customer reviews can help predict product sales in his latest publication. 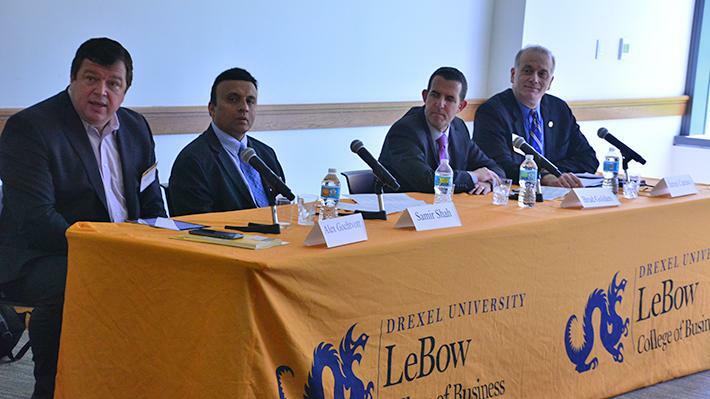 Drexel LeBow’s annual Bridging Practice and Theory Summit (BPTS) on May 18, 2017 featured discussions about relevant business trends in business analytics. Drexel LeBow’s annual summit is undergoing exciting changes and a renewed focus: facilitating a two-way dialogue between members of the business community and business faculty who teach and research in higher education.